FunctionAbility today announced the expansion of its award winning, accredited complex rehabilitation services to the British Columbian market. Leveraging over 18 years of best in class clinical outcomes, FunctionAbility plans to introduce its service delivery models and client centered practices into communities across BC. 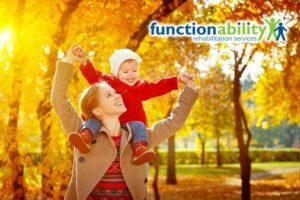 Starting off in the Lower Mainland, FunctionAbility will be recruiting top clinical talent to service clients in their homes, school and work settings. FunctionAbility currently provides multidisciplinary services across Ontario with the work of over 250 clinicians. The company delivers specialized programs in treating complex injuries, such as traumatic and acquired neurological injuries, and severe orthopedic injuries in both adult and pediatric populations. These best practice programs assist clients in regaining function, independence and dignity. Since 2007, FunctionAbility has been one of select few private practices in the country that have achieved accreditation by Accreditation Canada. The company was named the 2016 Consumer Choice Award in the category of Rehabilitation Services, and Rehabilitation Company of the Year and the Case Manager of the Year in 2014 by the Ontario Brain Injury Association (OBIA). FunctionAbility looks forward to working with community partners and clinicians to support the rehabilitation goals of clients in the Province.